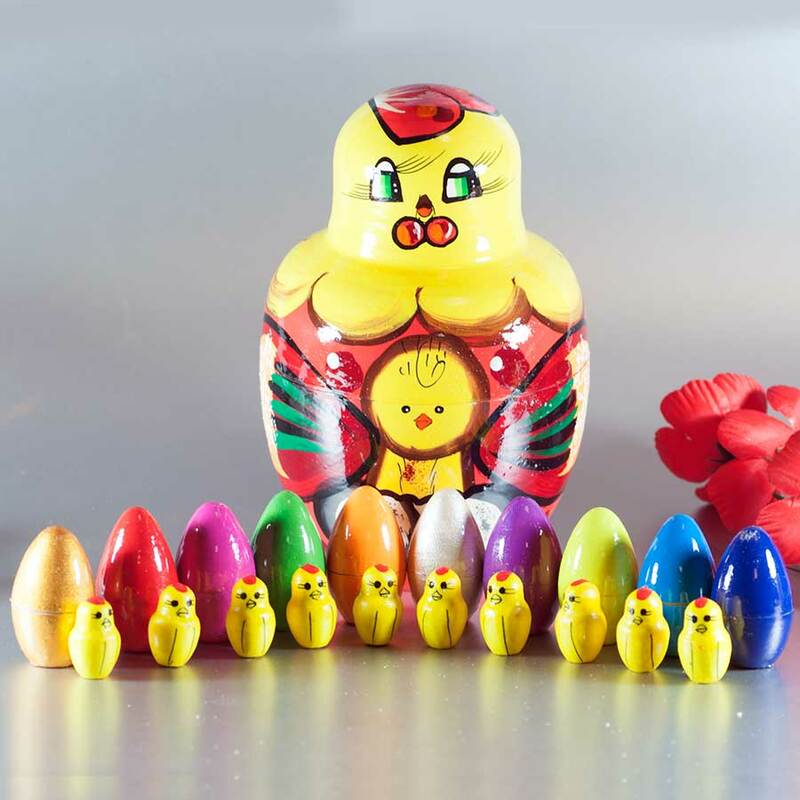 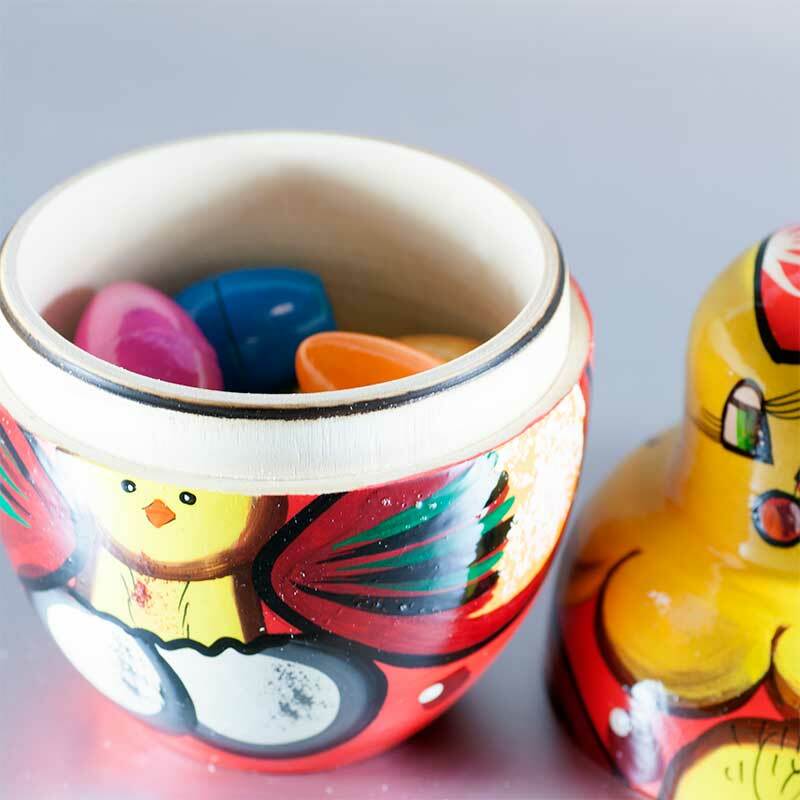 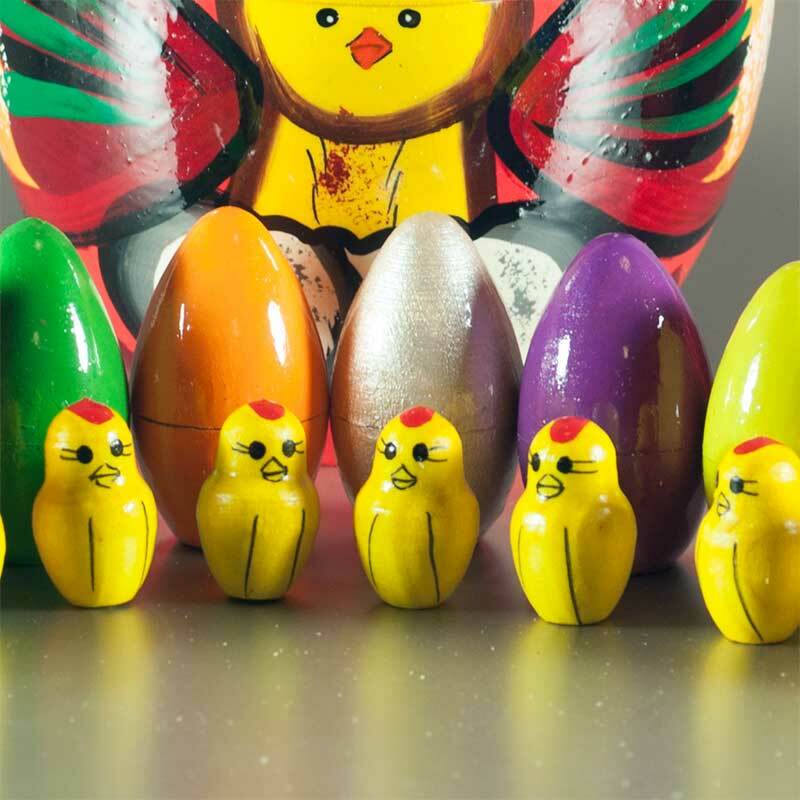 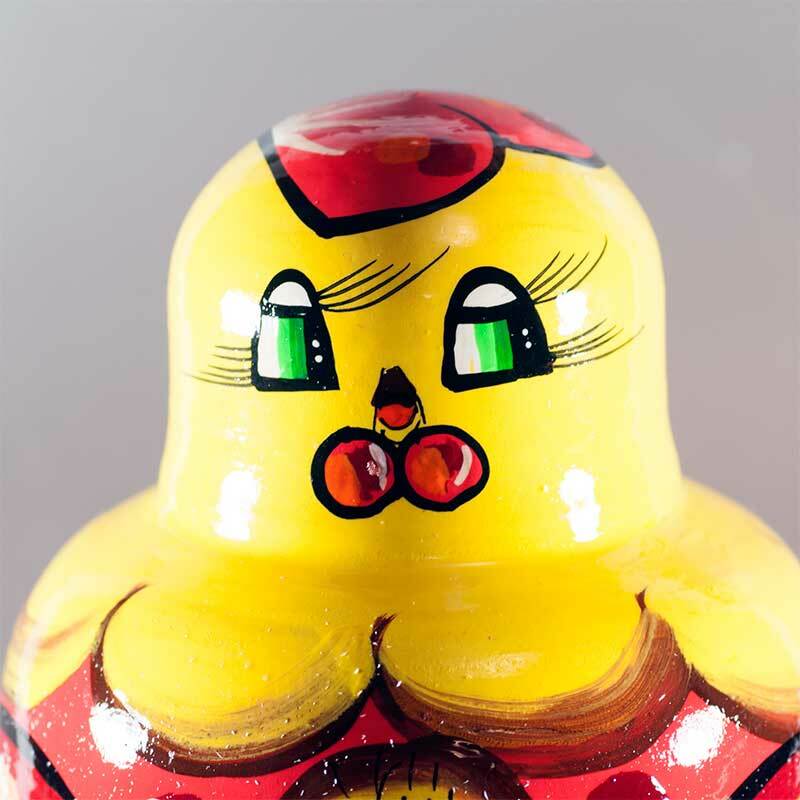 21 pieces set, size 16 cm/6-1/3"
Nesting Doll Hen with Ten Chickens is an unusual nesting doll - the first doll is made and painted like hen and inside there are 10 colored eggs, each egg is opened and inside there is a little chicken! 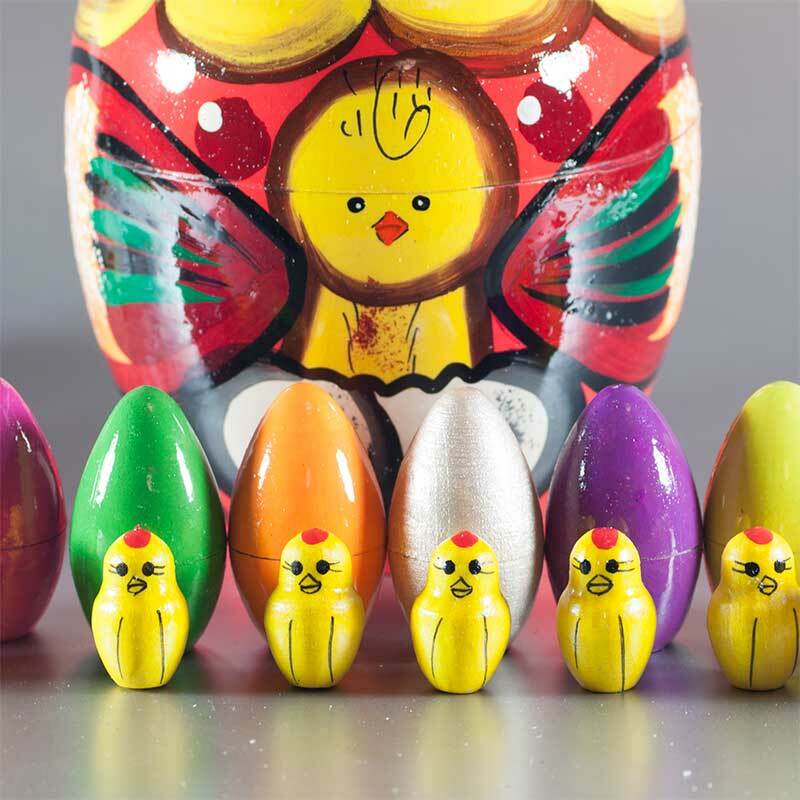 The nesting doll is made on the special wood form and is painted with bright tempera paints and finished with some layers of glossy lacquer. 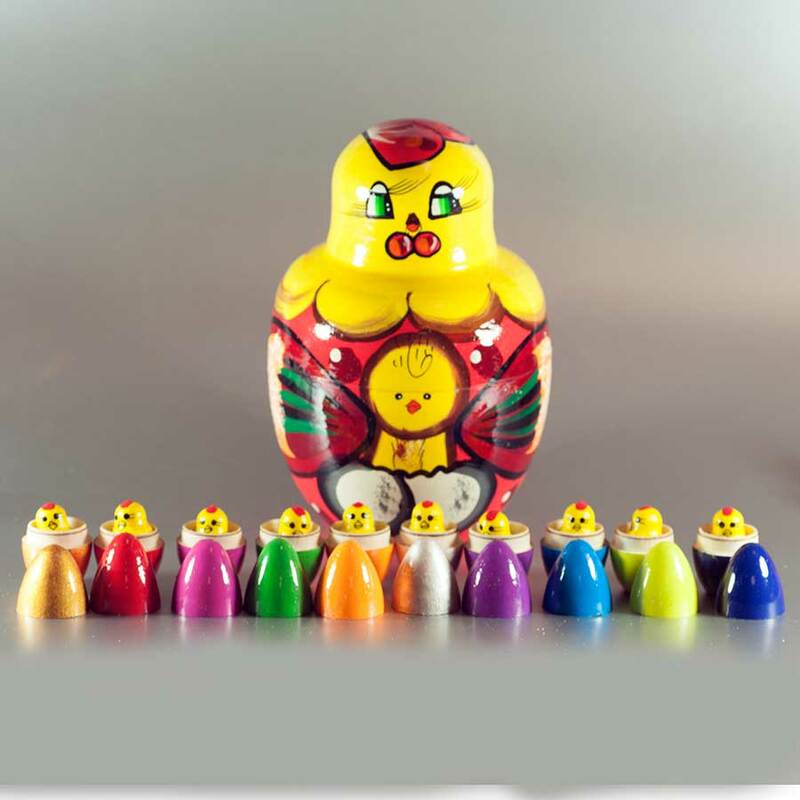 This doll set is a perfect to play with children. 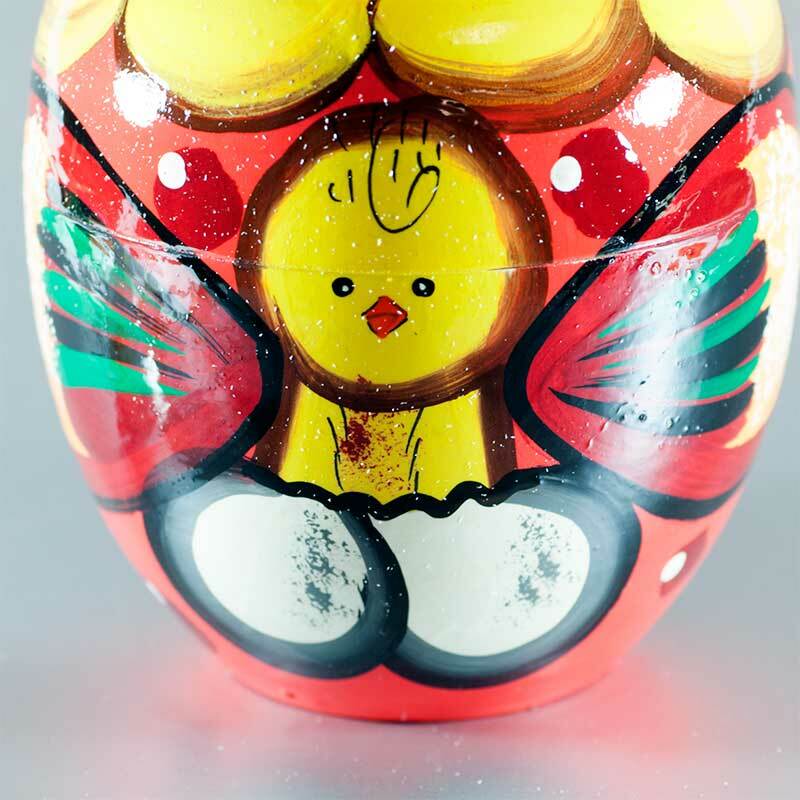 Size of the hen is ~15/6" tall, size of each egg 4.5 cm/1-4/5" tall, size of a chicken - 2.5 cm/1" tall.